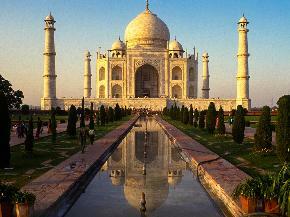 OTM Mumbai, deemed as one of the largest travel trade show, witnessed a heavy footfall this year. The trade show hosted over 1,000 sellers from more than 50 countries and 27 states who networked with over 10,000 trade visitors, at Bombay Exhibition Centre, between January 18 to 20. The show was inaugurated by KJ Alphons, Minister of State for Tourism (I/C), Government of India. In his inaugural address he expressed his delight seeing the turnout of the global participants. He also expressed satisfaction about the mix of international and national participants at the show floor - approximately 400 and 600 respectively. Jaykumar Rawal, Minister of Tourism, Government of Maharashtra remarked that Mumbai was proud to host the leading travel show in the Asia Pacific region. 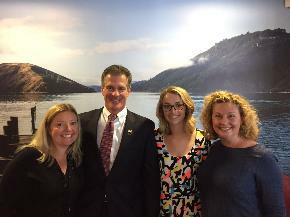 He also marvelled at the long history of OTM as an offshoot of the oldest travel trade show in the country. In an exit survey, 98% of the participants confirmed they are likely to return to OTM 2019. More than 90% opined that participation in OTM was a must. 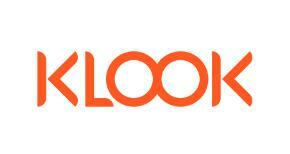 The organisers are found to be humble and were applauded for excellent client servicing. Many sellers appreciated the quality and value addition ensured by Fairfest Media, the organisers of OTM. As per the feedback received by Fairfest, OTM is the best in class travel show globally and has assisted them in generating a large number of business enquiries from the Indian market. Visitors included hosted buyers from Delhi, Bengaluru, Ahmedabad, Chennai, Hyderabad, Kolkata, Pune, Bhubaneswar, Visakhapatnam, Kochi, Nagpur, Rajkot, Surat, Coimbatore, Indore, Lucknow, Haryana, Allahabad and Chandigarh. The highest numbers of hosted buyers were from Delhi. 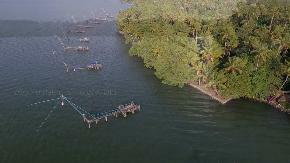 Several hosted buyers confirmed that they have been ensuring their presence at OTM for many years now. A number of them exclaimed that they had graduated from visitors to hosted buyers. The access to online meeting diary has assisted them to plan in advance and spend quality time with decision makers one on one. Fairfest Media is the best in what they do, said Datta Sukre, Hosted Buyer from TTGAC. 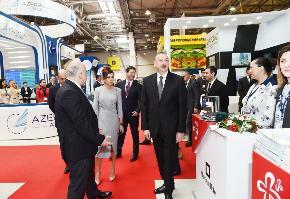 He called OTM a great platform with a quality presence of exhibitors and corporate. The online meeting diary and sessions arranged were well executed and served as an ideal platform for business networking, he felt. 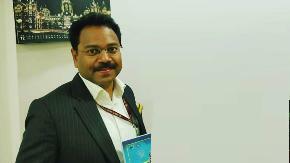 The global participation of the who's who in the travel trade differentiates OTM from run of the mill travel shows, stated Mahip Agarwal, Hosted Buyer from Shreejee Holidays has been associated with OTM for a very long time now. The online meeting diary feature enabled him to garner good contacts and information about the new products in the travel domain. Dhruv Saxena, Hosted Buyer, Gionee also participated for the first-time in OTM and he found it at par with the global standards. It was a great place to meet all suppliers under one roof and this is what makes OTM unique, he added. He liked the exhibitor mix the most and confessed that he is eager to come back next year as well. National Tourist Organisations of Turkey, Greece, Indonesia, Thailand, Egypt, Nepal, China, Kenya, Maldives, Rwanda, Macao, Bangladesh, Korea, Japan, Bhutan, Tanzania, Romania, Cambodia, Palestine, Cyprus, Croatia, New Zealand, Fiji, Botswana, Finland, Estonia and Lithuania displayed colourful country pavilions, along with a large number of local hotels, attractions and operators. Australia, Bulgaria, Canada, Dubai, Germany, Hong Kong, Iran, Kazakhstan, Laos, Latvia, Malaysia, Oman, Peru, Philippines, Qatar, Russia, Seychelles, Singapore, Sri Lanka, Ukraine, United Kingdom, USA, Uzbekistan and Vietnam were represented through private operators at OTM 2018. At OTM, Knowledge Partner - Cox & Kings introduced the Baltic States comprising Estonia, Latvia, Lithuania and Finland. It also introduced Indo-China package showcasing Vietnam, Laos and Cambodia. The China Tourism delegation ensured their attendance in a big way at OTM 2018. Tian Xin, Director, China National Tourist Office, New Delhi termed OTM as a very effective platform. OTM has undoubtedly helped us understand the travel needs of the Indian market as well as the requirements of the travel trade, he said. 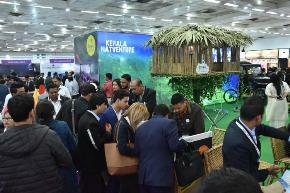 Participation from India included Tourism Departments along with private operators from Himachal Pradesh, Uttarakhand, Jammu & Kashmir, Maharashtra, West Bengal, Goa, Gujarat, Odisha, Arunachal Pradesh, Andhra Pradesh, Karnataka, Punjab, Andaman & Nicobar, Jharkhand, Madhya Pradesh, Chandigarh, Tripura, etc. which had set up enchanting state pavilions, with local suppliers. OTM 2018 had a balanced mix of participants from outbound and inbound, outlined Smt. 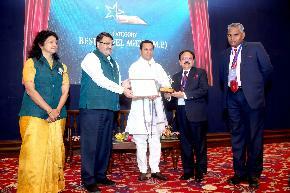 Neela Lad, Regional Director (West), India Tourism Mumbai Office. Driving an enhanced response from the travel show, she added OTM assisted in creating awareness on destinations in North East. Through OTM, the North Eastern travel destinations in India initiated a dialogue with Indian film producers. Tater Mize, District Tourist Officer from Government of Arunachal Pradesh appreciated the efforts of Fairfest Media. 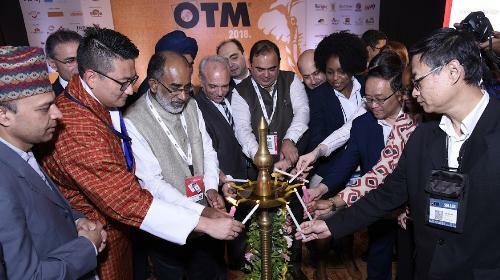 He asserted OTM was a great platform to showcase their tourism products and a great way to attract the travellers to the North East, especially to Arunachal Pradesh. Kudos to the organising team on putting up such a great show and we are surely looking forward to attend the next OTM! OTM is one of the key events on our calendar, agreed Suku Verghese, Associate Vice President - Sales, MICE India, Taj Hotels Palaces Resorts Safaris. He praised the humongous scale of the travel show and the buyer mix. We are happy to see OTM pioneering in tapping niche travel segments of wedding and film tourism. OTM has emerged as the largest travel trade show in the Asia Pacific region, on the basis of number of participants and gross exhibition area rented. In addition to buying and selling travel products and services on the OTM show floor, hundreds of crores of business leads are generated, along with number of meeting sessions, workshops and panel discussions on the sides. Enriching and thought-provoking meeting sessions bring together industry leaders and professional experts from India and abroad. Dignitaries at the panel discussion - Cine Locales by Film Tourism Consortium brought to the fore the permits involved and the reasons why film producers find it easier to shoot a film abroad. Jaykumar Rawal, Minister of Tourism, Government of Maharashtra thanked the panelists for bringing up the concerns at OTM 2018 and assured the producers that by OTM 2019, the said issues will get resolved as far as shooting in Maharashtra was concerned. He also asserted that Mumbai is home to Bollywood and all should work at selling Mumbai first and then the rest of India. Promoting Tourism to North East by DoNER session comprised a presentation on the eight breathtakingly beautiful and scenic landscapes of the North East - Arunachal Pradesh, Assam, Manipur, Meghalaya, Mizoram, Nagaland, Sikkim and Tripura. The presentation was followed by an official release of the Report on Film Tourism in the North East. The panel discussion was graced by government officials of DoNER and members of the film fraternity. After viewing the presentation, film fraternity members expressed their desire to come and shoot in the North East. They also brought up various issues and obstacles regarding permissions and infrastructure that restrained them from shooting in the North Eastern destinations. Travel Technology Track, an initiative by TravHQ and OTM was a knowledge sharing platform to showcase innovative technologies in the travel segment. It decoded the Indian traveller and outlined that customer experience was one aspect which was observed as being missing nowadays. Major focus on customer experience was termed as the highlight of 2018 where technology will be playing a key role, remarked speakers. The session also brought to notice that we still have a long way to go as far as technology is concerned and called it the way forward. The session Millennials are the next frontier by Phocuswright observed that one cannot understand a millennial (travellers below 35 years) completely as their wants and desires keep changing time and again. Hence it is difficult to be 100% ready for a millennial traveller. During the session what came to notice was that millennials value experience more than the price. Millennials are the driving aspect of experiencing a destination. Hence, the industry needs to personalise as per their desires to win over a millennial traveller. 20% of development in tourism can be seen if the personalisation is enhanced.